Lapis was a small company which, at the end of the 80s, included in its catalogue furnishing complements neat and precious in their materials, finishings and typologies. The screen Otis was my first project for them. 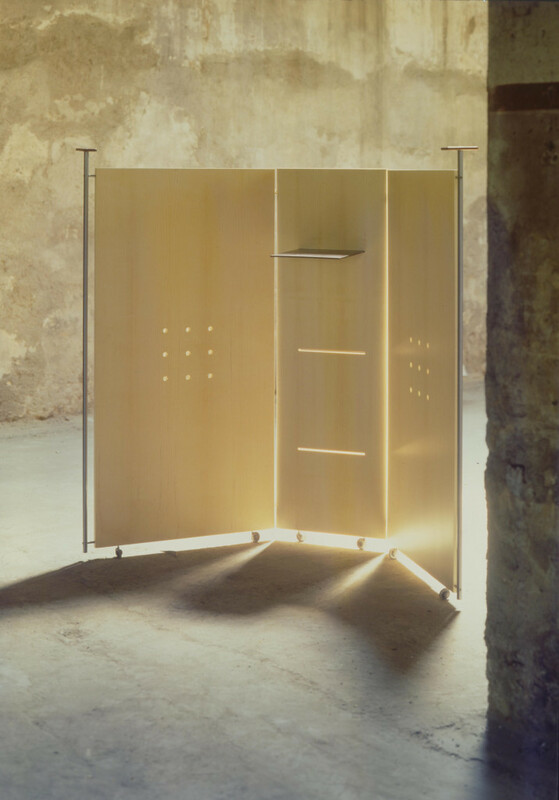 Three maple laminated plywood movable walls have two lateral handles in chromed metal ending with a small wooden top which serves as coat-hook. In the middle panel a shelf may be positioned at different heights.